This broad category will include any of the types of outreach activities the Michigan Tech Archives is involved with. This includes exhibits, presentations, travel grant award winners, participation in off-campus activities, etc. Since 2006, American Archives Month has given the profession an opportunity to share and remind people about the importance of archives and the items that are being preserved, cataloged, cared for, and made accessible by archivists and other cultural heritage colleagues. Be sure to follow us on social media all month long for collection spotlights, news about programs and events, and all things archives! Adding to the fun this year, Blizzard will be stopping by the Archives from 1:30 pm – 2:30 pm to take part in this great event. 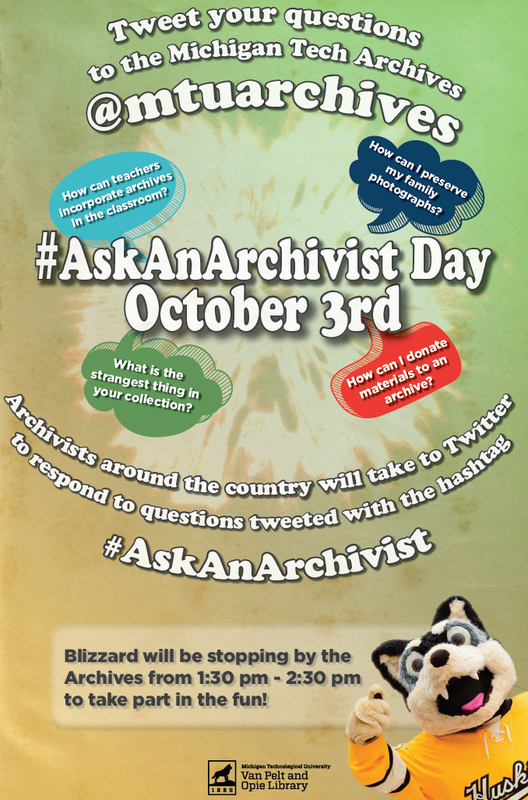 Please tweet us @mtuarchives and be sure to use the hashtag #AskAnArchivist. We hope you will join the conversation and help us celebrate American Archives Month! Alliance meetings will also offer separate three-hour History Skills Workshops led by authorities in the field. Lindsay Hiltunen, University Archivist at Michigan Tech, will facilitate a workshop and brainstorming session on All-Ages Archives. The workshop will discuss collaboration with community partners in order to plan, develop, implement, and assess creative outreach and primary source research instruction to K-12 students and community groups. The session will utilize examples to show the power of teamwork and good planning and will showcase successes and address challenges that come up in the planning process. There is a fee to attend the History Skills Workshops. Paul Hinzmann with camera, Fort Wilkins, undated. If you’ve had the chance to talk with any of the faculty or staff members at Michigan Tech, you know that each has an interesting story to tell and, more often than not, have interests and passions beyond the classroom. 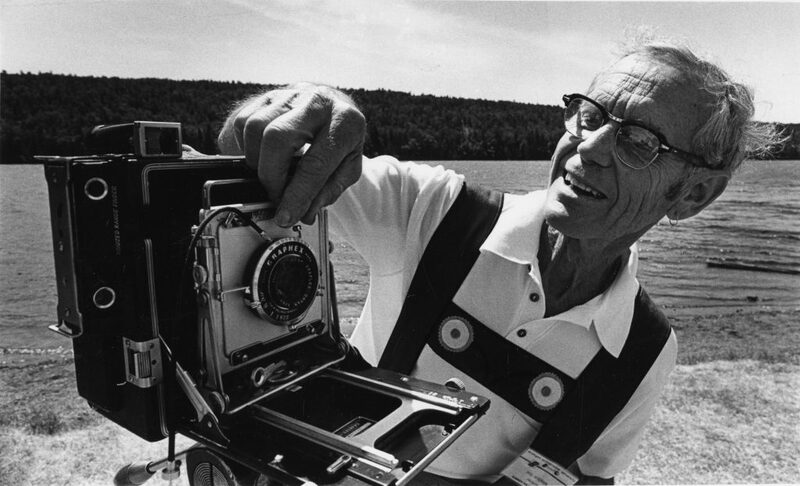 In honor of National Photo Month we’re featuring the photography of Paul Hinzmann, former Michigan Tech professor and University photographer. Paul Revere Hinzmann was born on May 23, 1913 in Tipton, Michigan to Walter and Lulu Hinzmann. The son of a Congregational Minister, Paul studied at the Case Institute of Technology and earned a degree in physics in 1935 and later obtained a Master’s Degree in Education from the University of Michigan in 1936. Hinzmann joined the faculty at the Michigan College of Mining and Technology in 1946 as a professor of physics, a position he retained until his retirement in January 1977. From all accounts, Hinzmann was a well-respected faculty member who relished teaching and was known for his dedication to his students. Paul Hinzmann was also a man with varied interests, including photography. His collection of photographs and negatives reflect his interests in the landscape of the Copper Country and the campus he loved so much. 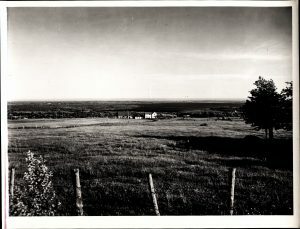 Photographs and negatives from his collection in the Michigan Tech Archive include scenes of local businesses, street views, and the industrial landscape. 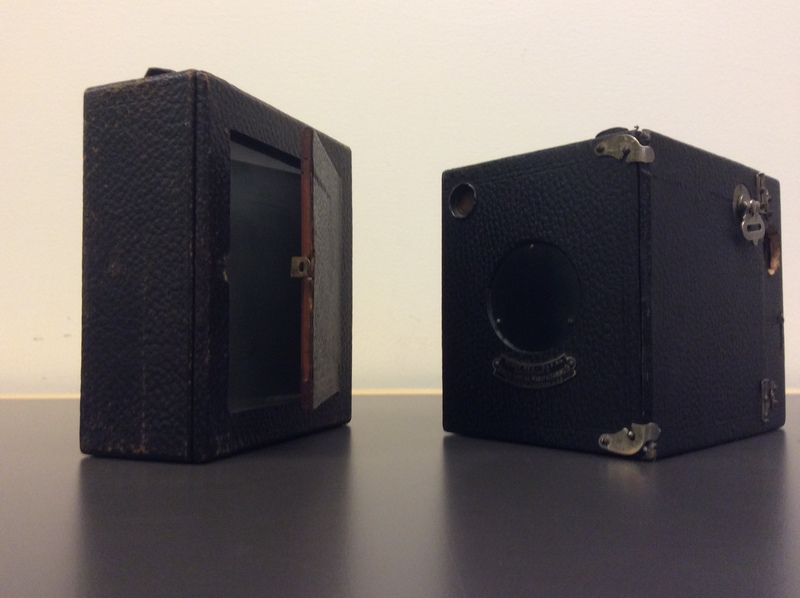 Among the treasures donated to the archive are several antique cameras from the 1800s that reflect his love of the medium and its history. Hinzmann’s work for the University eventually led him to commercial photography work for the Herman Gundlach Construction Company in Houghton. 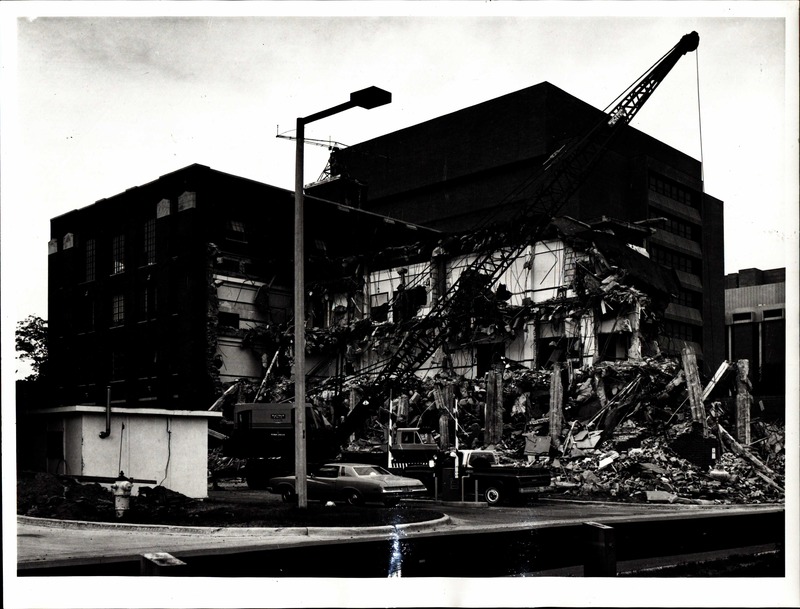 Evidence of this is sprinkled throughout his collection and largely document the various stages of construction in and around Houghton. Unsurprisingly there is overlap between Hinzmann’s campus photography since Gundlach was a major contractor for many buildings on campus. Beyond his teaching responsibilities and photography, Hinzmann was an avid outdoorsman, spending time on Isle Royale and in the Boundary Waters. A lifetime member of the Isle Royale & Keweenaw Parks Association (IRKPA), Hinzmann served as board president from 1985 to 1988. 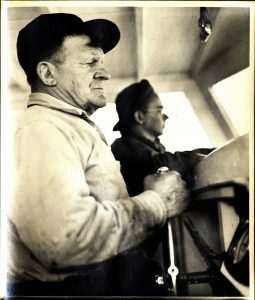 Charlie Kauppi and Tech student at the helm of a vessel, 1948. His love of wilderness and photography culminated in a rephotography project he undertook in the 1980s using photographer A. C. Lane’s glass plate negative collection of Isle Royale views from the 1890s. Hinzmann died on November 30, 2012 at the age of 99 and a half years old. His reputation as a “patient, caring teacher who loved the enthusiasm of students” was remembered in the Spring 2013 issue of Michigan Tech Magazine. While his photography might not be as well known by most, Hinzmann’s work outside of the classroom served as the visual record of the University for over thirty years and represents the impact faculty and staff have to Michigan Tech community. Vintage cameras from the Paul Hinzmann Collection. Would you like to see more of Paul Hinzmann’s photography? Please visit the temporary display currently on the first floor of the Van Pelt and Opie Library on the Michigan Tech campus. Interested in seeing even more? 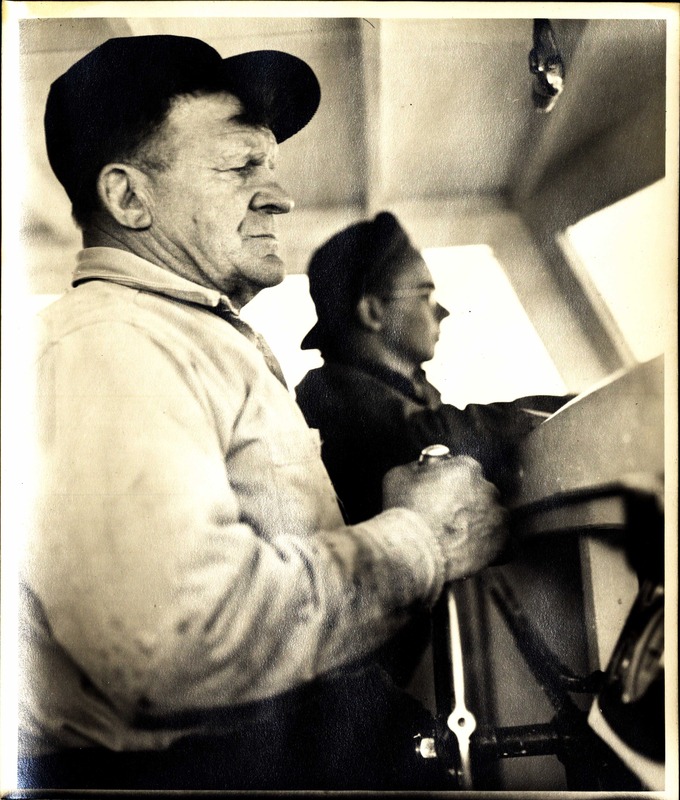 The Michigan Technological University Archives holds the Paul Hinzmann Photograph Collection (MS-580). The collection dates from 1954 to 1982 and includes miscellaneous photographic equipment, as well as photographs and negatives taken by Hinzmann documenting the subjects discussed in this post. The Michigan Technological University Department of Social Sciences and the Michigan Technological University Archives and Copper Country Historical Collections are pleased to announce that the Michigan History Day district 1 competition will be held at the Memorial Union Building at Michigan Tech, Saturday, March 4, 2017 from 9:30 a.m. to 12 p.m.
Several secondary schools from MI-District 1 (the 6 western counties of the UP) will be sending over 40 students for the competition. Top entries in each category — exhibits, documentaries, websites, papers, and performances — will be eligible to go to state competition in the spring. Winning entries will also be on display in May at the Carnegie Museum in Houghton. History Day is a competition for middle and high school students who develop historical research projects based on an annual theme that highlight people, events and ideas in history. This year’s national theme is “Taking a Stand in History” and projects are on local, state, national and even world history. 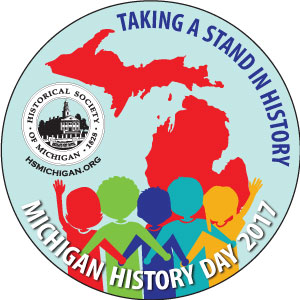 Michigan History Day is sponsored and coordinated by the Historical Society of Michigan, which coordinates 13 districts statewide. Each school in the district has initial competitions and sends up to three entries (individual or group) in each category to the district competition, which then sends on top projects in each category to state finals. History day is open to the public and all are welcome to attend. ABOUT MHD-district 1: Associate Professor Steven Walton and Assistant Professor Jonathan Robins, both historians in the Dept. 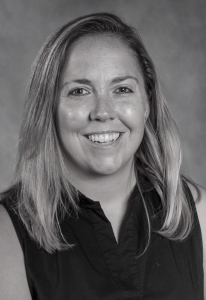 of Social Sciences, and University Archivist Lindsay Hiltunen of the Michigan Tech Archives are the coordinators for Michigan District 1, which includes Houghton, Keweenaw, Baraga, Ontonagon, Iron and Gogebic counties. The Department of Social Sciences offers a B.A. degree in history with particular strength in industrial and environmental history and archaeology. 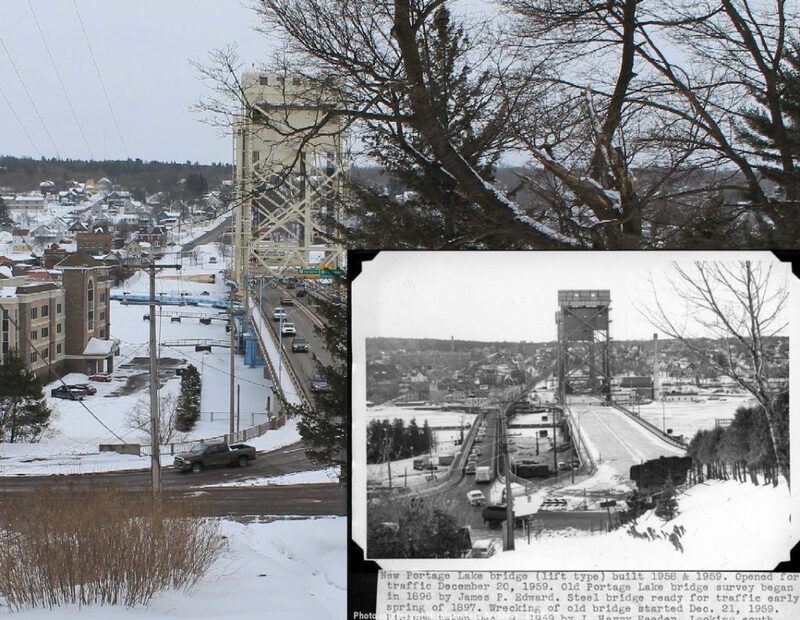 The Michigan Tech Archives holds unparalleled historical resources on the Copper Country and its mining history. Michigan Tech has been hosting the district contest each February or early March for nearly a decade. For more information, contact: Steven Walton, 906-487-3272 (office) or sawalton@mtu.edu, or visit the District 1 Michigan History Day website. 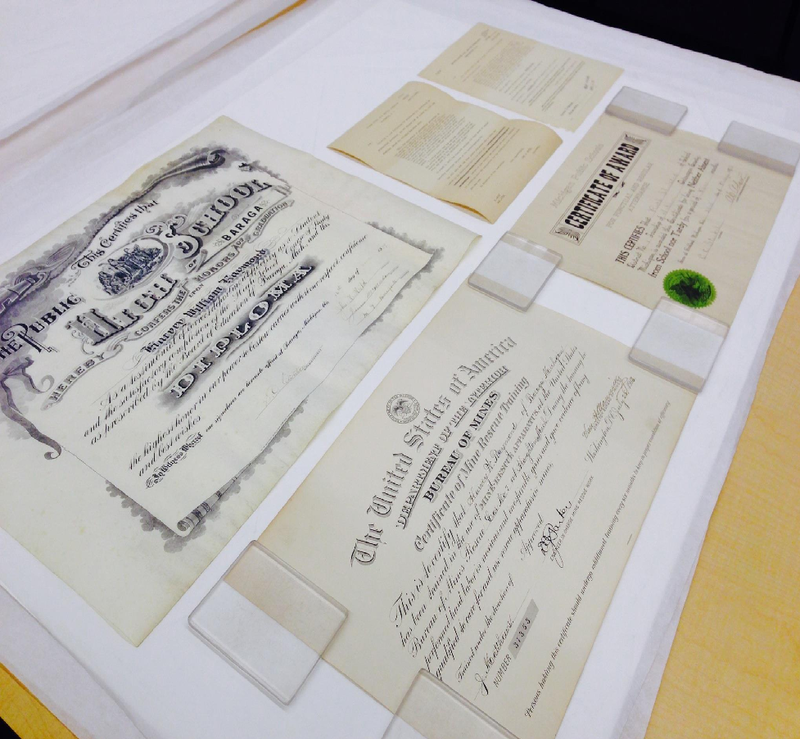 Documents from a family papers collection being rehumidified at the Michigan Tech Archives, 2015. The Houghton-Keweenaw County Genealogical Society is teaming up with the Michigan Technological University Archives and Copper Country Historical Collections to present a home archiving workshop at 6 p.m. Tuesday, Oct. 11 at the Portage Lake District Library. Lindsay Hiltunen, university archivist at the Michigan Tech Archives will discuss tips and tricks for taking care of family papers and photographs. Topics will include proper handling techniques, storage solutions, digitization and preservation concerns. The meeting is free and open to the public. For further information, contact the HKCGS at 369-4083 or email. You can also contact Michigan Tech Archives at 7-2505 or email. The Historical Society of Michigan has named the Michigan Technological University Archives and Copper Country Historical Collections winner of its 2016 Special Programs/Events Award, for its “Black Voices in the Copper Country” project. 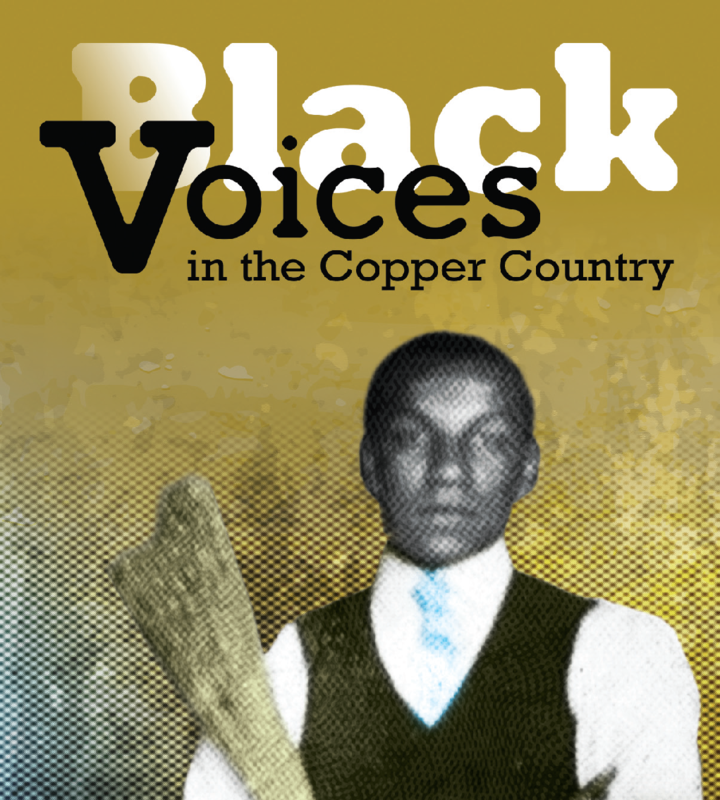 “Black Voices” was recognized for its “dynamic series of programming, exhibits and social media campaigns relating to African American social history in the Copper Country.” The award will be presented at the historical society’s annual State History Conference in Alpena, Michigan, Sept. 23-25, 2016. The project team consisted of University Archivist, Lindsay Hiltunen, Project Researcher, Martin Hobmeier, and Graphic Designer, Mike Stockwell of Cranking Graphics. 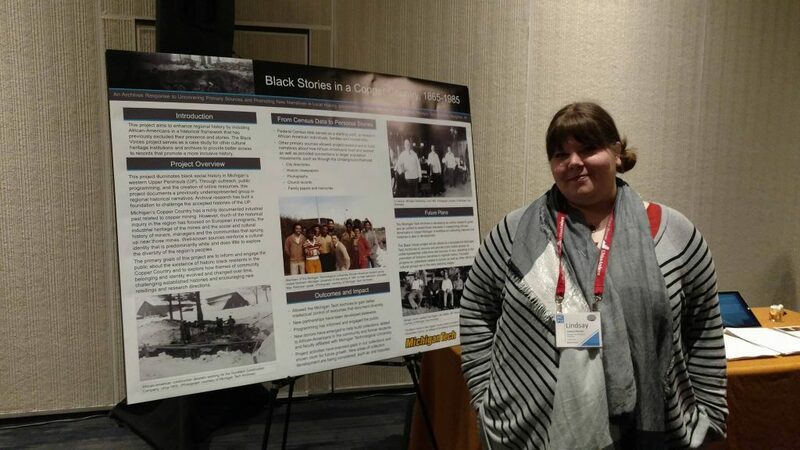 University Archivist, Lindsay Hiltunen presenting the Black Voices project at the National Council on Public History Annual Conference in Baltimore, MD, March 2016. The society presents the State History Awards every year to individuals and organizations that have made outstanding contributions to the appreciation, collection, preservation and/or promotion of state and local history. 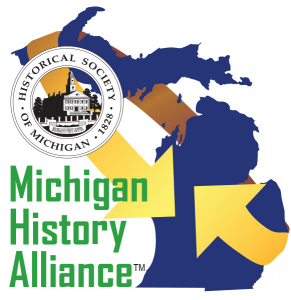 The awards are the highest recognition from the Historical Society of Michigan, the state’s official historical society and oldest cultural organization. There were 15 other awards in categories including a lifetime achievement award, distinguished volunteer service, books, magazine articles, media and restoration projects. 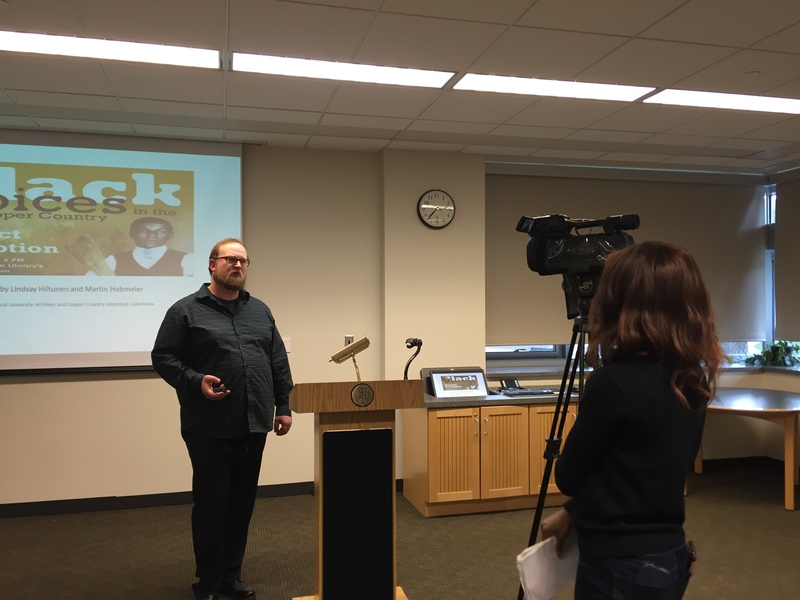 Project Researcher, Martin Hobmeier discussing the Black Voices project for TV6 news in May 2016. For more information about the award please visit the Michigan Tech News site. For more information about “Black Voices in the Copper Country” or the Michigan Tech Archives, e-mail copper@mtu.edu or call (906) 487-2505. Find us on Twitter @mtuarchives. Alumni Reunion Is Almost Here! The Michigan Technological University Archives and Copper Country Historical Collections joins the rest of the Michigan Tech community as we get ready to welcome alumni and friends to campus for Alumni Reunion 2016! The Michigan Tech Archives invites all alumni and guests to catch a glimpse of the Michigan Tech experience through the years. We will have an exhibit about the student experience at Michigan Tech on the main floor of the Van Pelt and Opie Library. 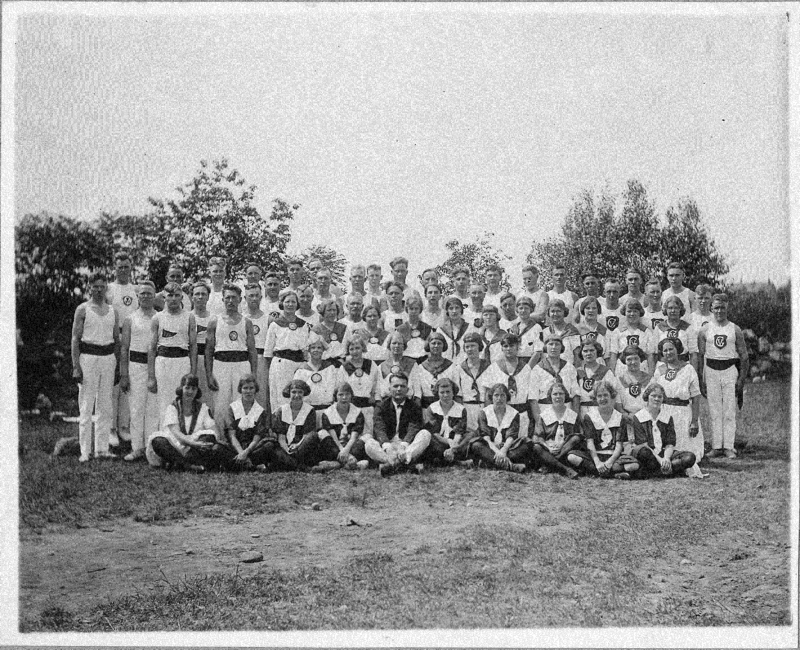 Afterwards, visitors are encouraged to come see us on the garden level of the library to view a campus history exhibit as well as yearbooks, photographs, newspapers and memorabilia. 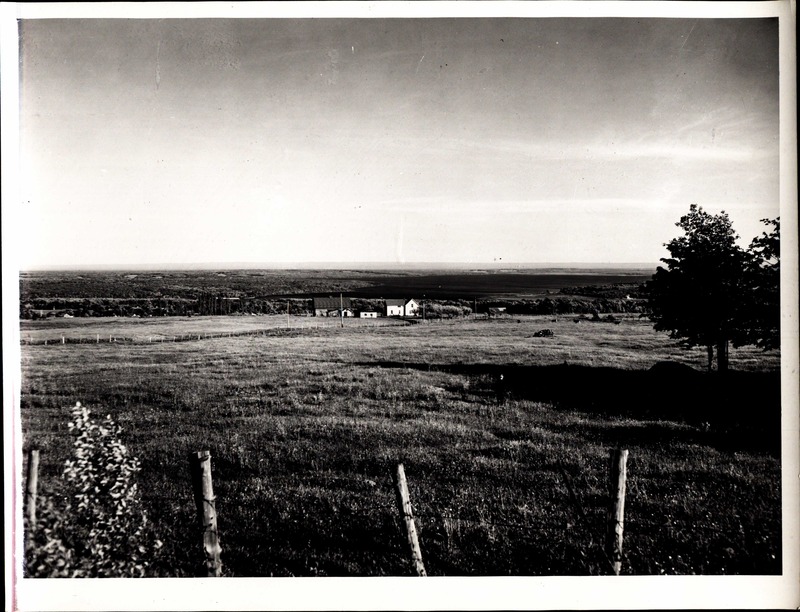 The Michigan Tech Archives will be open Thursday, August 4 and Friday, August 5 from 10 a.m. to 5 p.m. Behind-the-scenes tours will be available to individuals and small groups during the campus-wide open house on Friday, August 5 from 1:30-3:30 p.m. Tours last 20-30 minutes. Walk-in visitors are encouraged, but please feel free to make a tour appointment by calling (906) 487-2505 if you wish. We hope to see you visit us during Alumni Reunion! Welcome Huskies, one and all! For more information about Alumni Reunion 2016 and other campus events during the campus-wide open house, please visit the reunion website.